Windham Weaponry will be at SHOT Show 2016 in Las Vegas (Booth 10376) from January 19th to the 22nd. If you’re attending this “industry only” mega-show, we’d be pleased to have you stop by the booth and say hello. We’ll be introducing our new MCS Multi-Caliber Rifle System. This amazing AR adaptation, with interchangeable barrels and magazine wells, offers 4 different calibers in the same rifle. We also offer MCS Upper Kits which you can snap onto your existing AR upper. With interchangeable barrels, you can shoot .223 Rem/5.56mm NATO; 300 Blackout, and 7.62 x 39mm by using AR type magazines. A bolt/carrier change is necessary for the 7.62 x 39mm round and we’ve included that in the kit (.223/5.56mm/300 Blackout all have the same case base dimensions, so a bolt change isn’t necessary for those, just be careful not to mix up your ammo). December 2015 got real busy real fast as the political climate begins to heat up, but we are continuing to expand our model line with new .308 and 300 Blackout rifles, as well as new variations on the .223 theme. So keep an eye on our website www.windhamweaponry.com for our latest offerings. In the website’s Firearms Section, you can see all our rifles and download tech sheets and images on them. If you’re looking for parts or accessories for your existing rifle, our E-Shop section will quickly take you where you want to go and help you find the perfect match, as we always test and validate everything we sell for fit, function and quality. 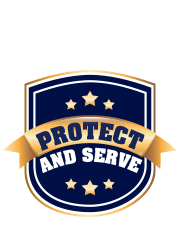 As always, hunt & shoot safely, and feel free to contact us with any AR related questions. Can I purchase a CDI Upper Receiver/Barrel Assembly Complete ? Yes, we do offer the complete CDI Upper Receiver/Barrel Assembly with Diamondhead Flip Sights, Bottom Accessory Rail and MagPul Angled Vertical Grip installed. In this Section, we like to feature interesting comments and photos from our Customers. 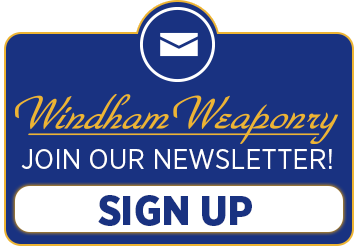 We welcome your submissions at newsletter@windhamweaponry.com so please, keep them coming! Wow! I Love my Windham Weaponry 7.62 X 39 adaption to my AR. It is my primary close range deer hunting weapon FL-SC. I’m amazed at the 4 caliber system – is there any plan to add .308 to the Multi-Caliber system? Note: At this time we do not have any plans for a .308 multi-caliber system, as it would not interchange with the current .223/5.56 components. Was able to decoy this coyote yesterday in south Ga. My Windham AR dropped him in his tracks at 230 yards. Still whacking and stacking with my Windham AR!!!! This easily installed accessory offers 48% faster reloads as the “funnel” lip that extends below the AR receiver mag well helps guide the magazine into place. The finger grooved frontal area aids in firearm handling without adding significant weight as the 2 piece assembly only weighs 1.5 oz. Molded of black reinforced polymer, the assembly attaches tightly by means of 3 allen head screws (wrench included) without any permanent modifications or alterations to the lower. Shown separately, and mounted in photo. Made in USA by Armaspec. I hope the holidays were good for everyone. I know that here at Windham Weaponry things were fantastic, and now that we are covered in snow it feels a little more like winter. I would like to thank all of you for your support over 2015 as it was an amazing year for Windham Weaponry and we are looking forward to an even better 2016! Shot Show in Las Vegas this year is just around the corner. We will be at the show from January 19th-22nd so if you are attending the show PLEASE come by Booth #10376 to check out the NEW MCS (Multi Caliber System) as we will have samples in the booth. It’s an amazing rifle package that you won’t want to miss. I’m going to be offering my AR Pistol, 11.5″ barrel, at a very special price until January 25th or until supplies are gone! They are built and ready for IMMEDIATE SHIPPING. Nothing to do on a Wintery day? Come shoot at the Windham Indoor Shooting Range & Retail Store! Our store is stocked with all sorts of shooting, hunting and fireams maintenance needs, and the latest rifles, pistols and shotguns from Windham Weaponry, Glock, SIG, S&W and many others. Our state of the art 12 lane, 25 Yard Firing Range is ready for your next practice session, recreational outing, or maybe even a corporate event! We’re conveniently located in the Windham Business Park on Rte 302 in North Windham.